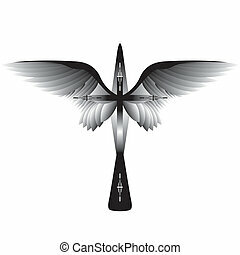 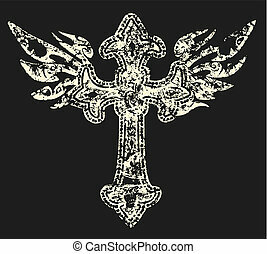 Cross and wings. 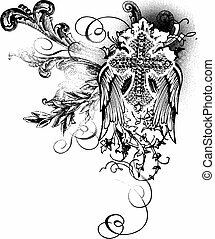 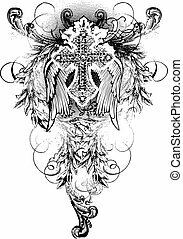 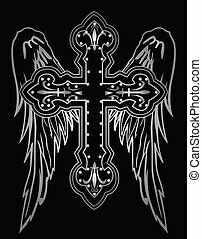 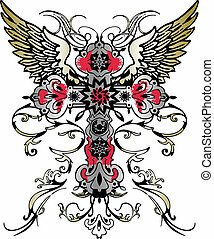 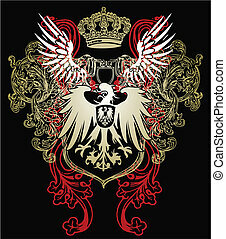 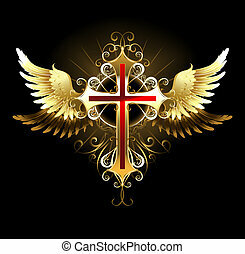 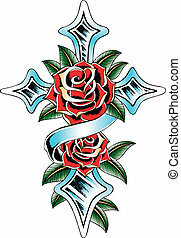 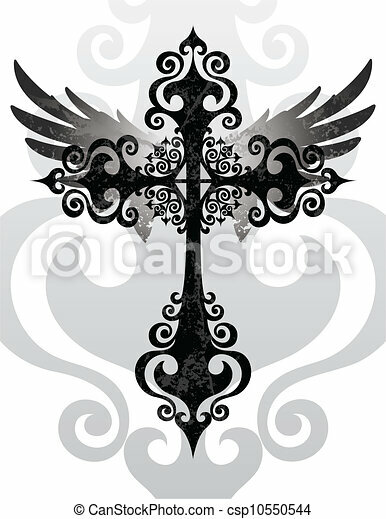 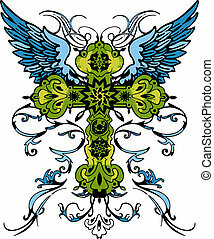 Stylized cross and angel wings. 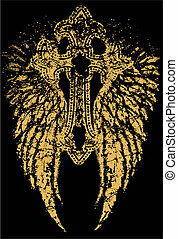 Gold, patterned, cross jewelry with gold wings on a black background. 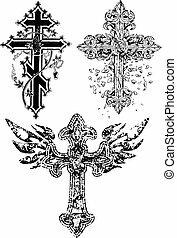 Gothick style. 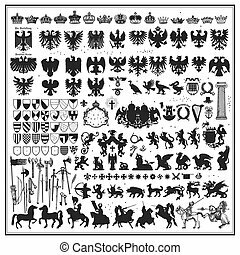 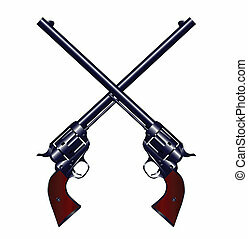 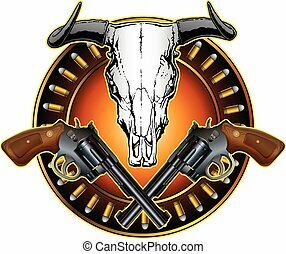 Western Crossed Pistols and Skull Design is an illustration of crossed revolvers, a bull or steer skull and a ring of bullets in a American western style design.